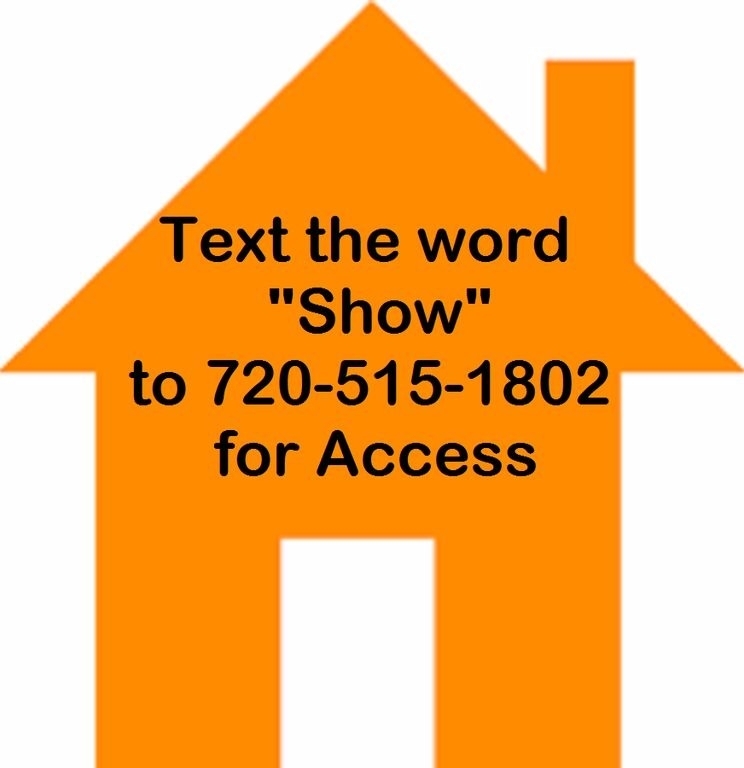 Call 720-515-1802 to Arrange a Tour or to Learn More. 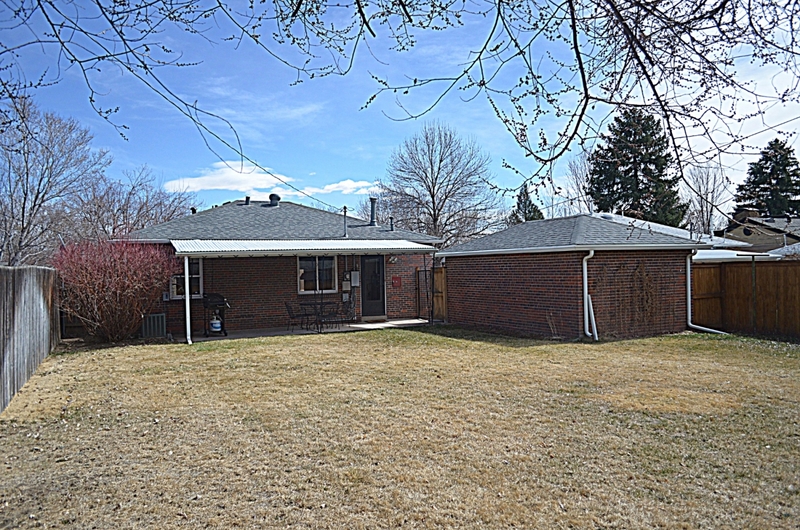 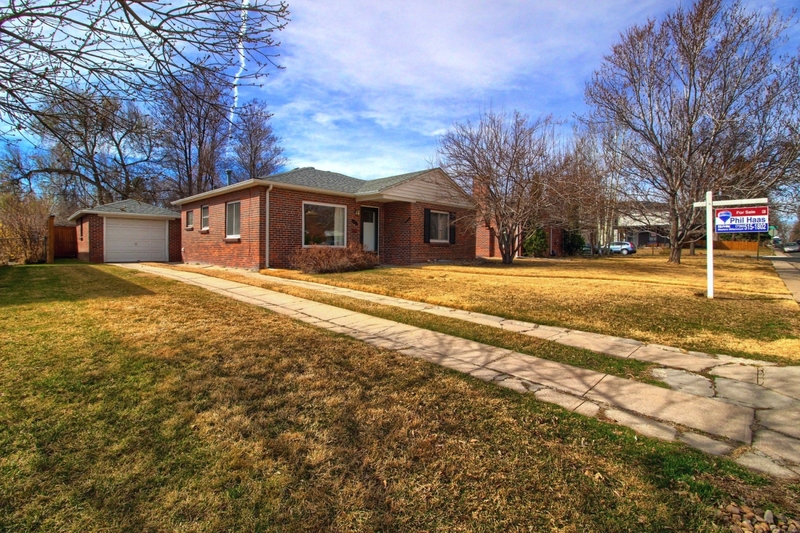 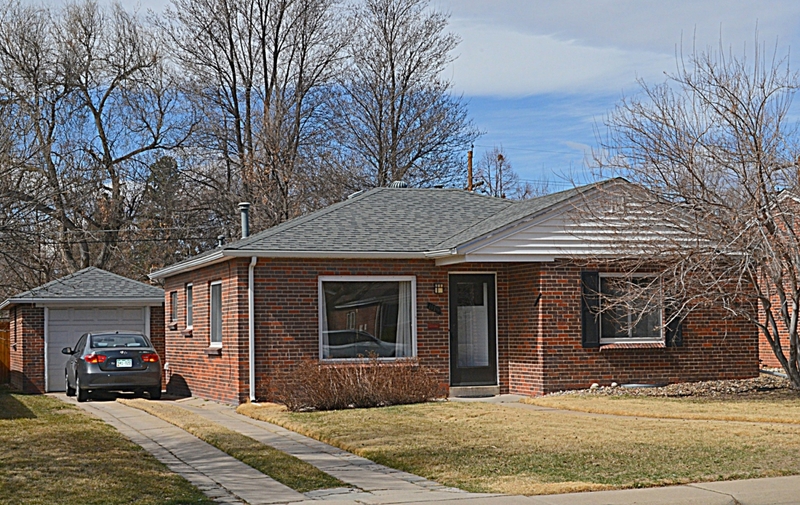 Charming Ranch Home in the Progressive Mayfair Neighborhood on Beautiful Tree Lined Streets with Modern day Luxuries. 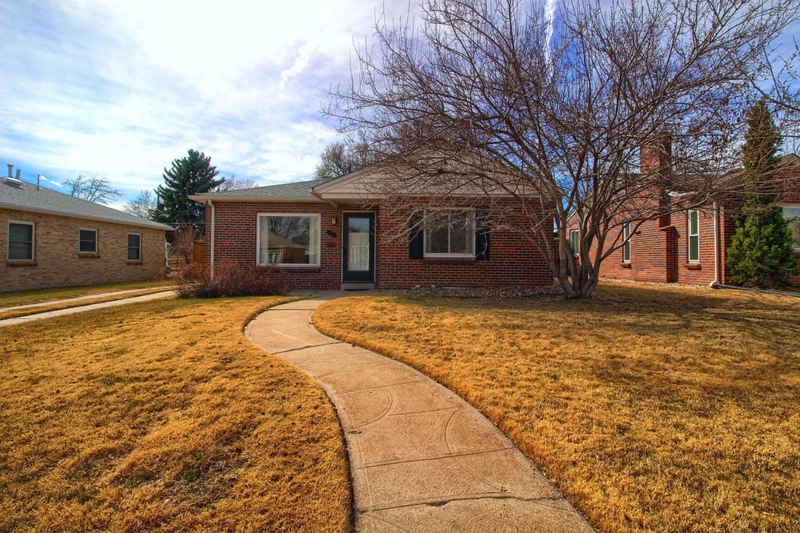 Welcome to a Fabulous Upgraded Brick Ranch Home with Great Curb Appeal only 5 Miles East of Downtown. 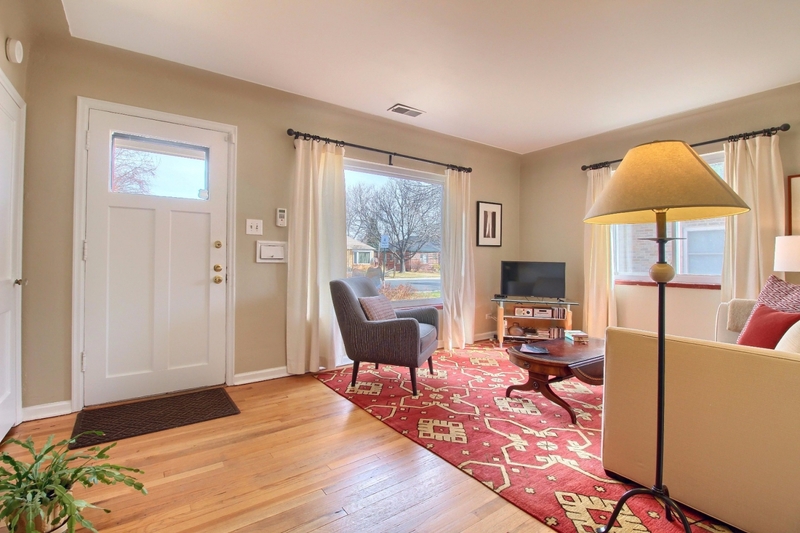 Walk into a Bright and Sunny Living Room with a Coved Ceiling and Hardwood Flooring throughout. 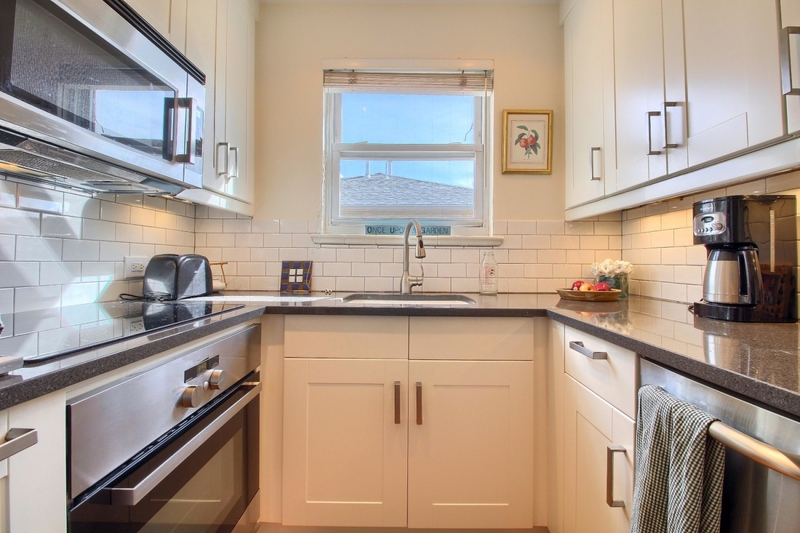 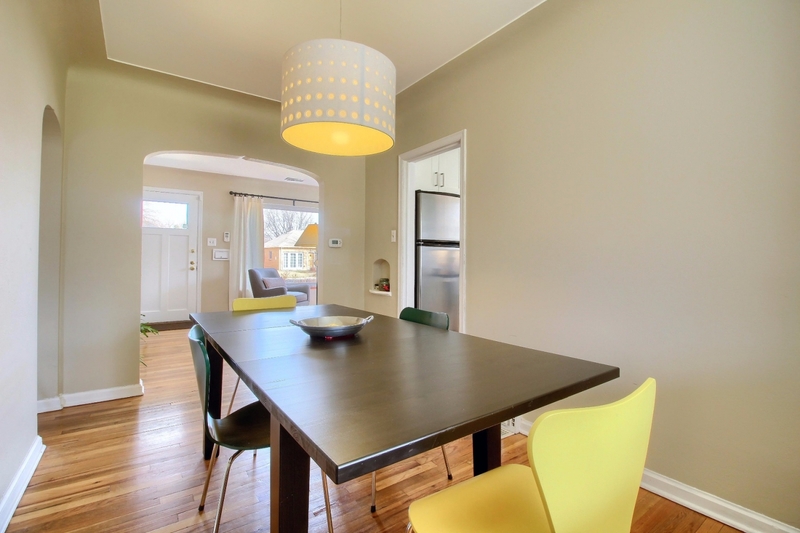 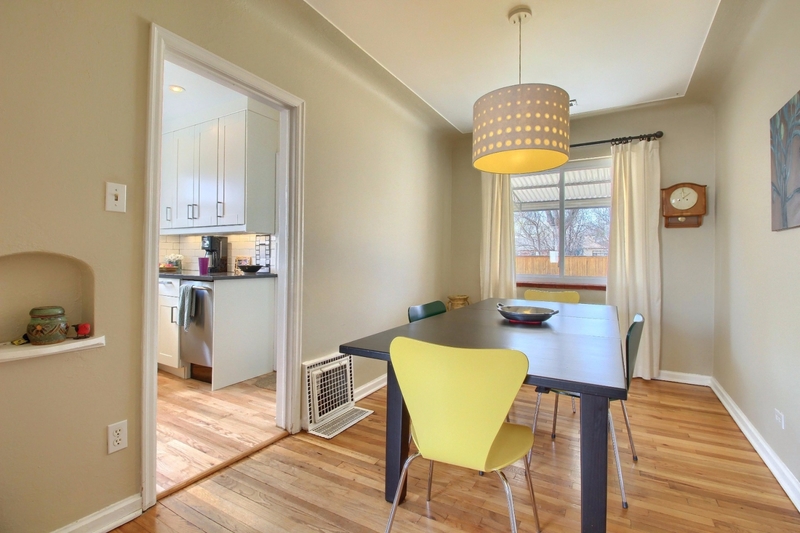 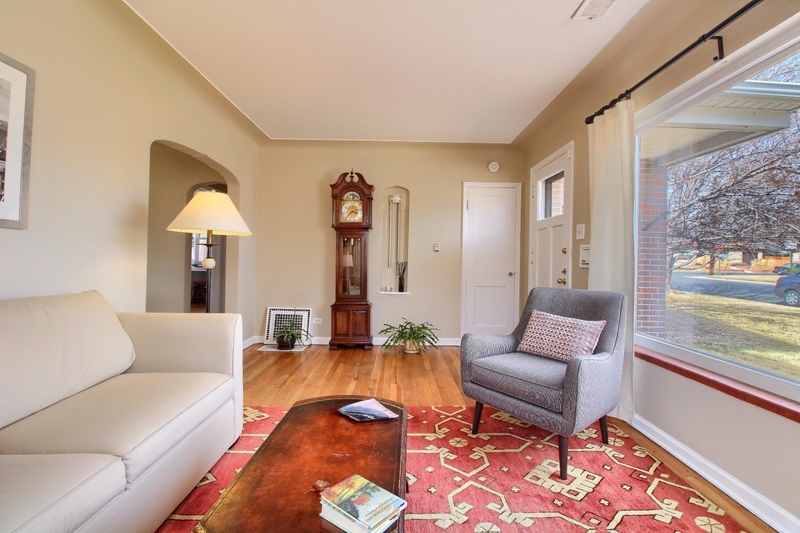 This Charming Home has a Lovely Dining Room, also Coved, that overlooks the Spacious Backyard. 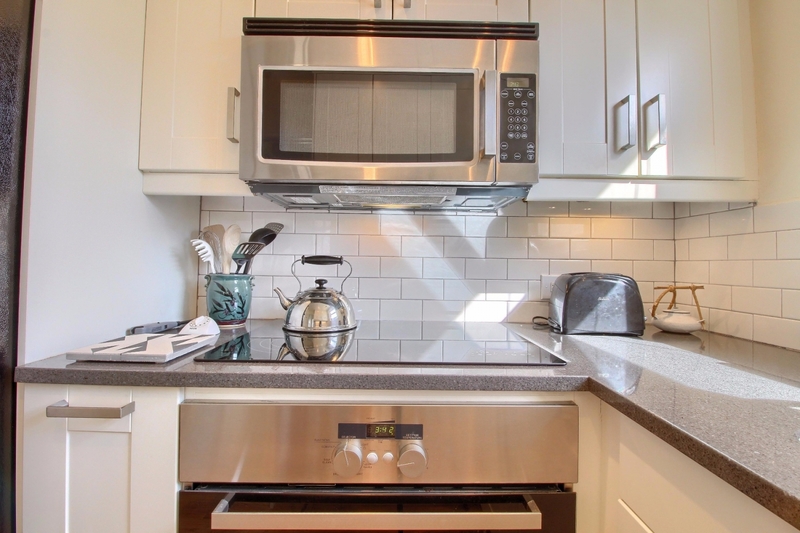 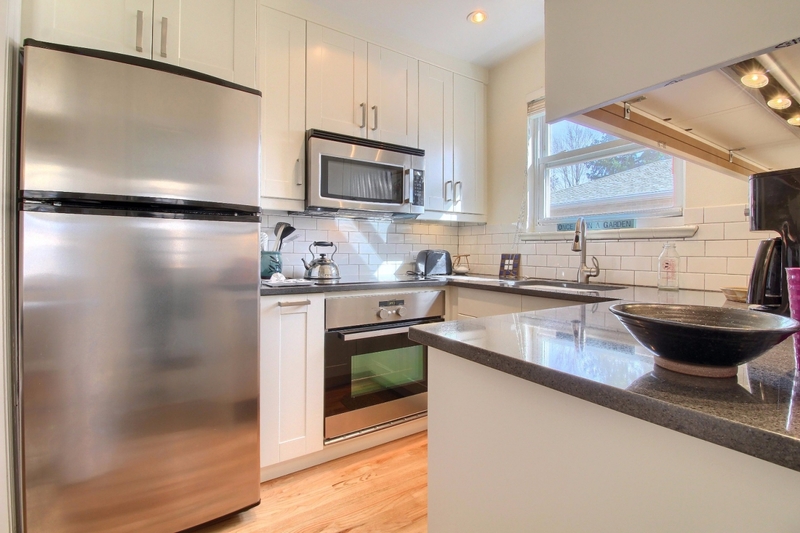 The Pristine Kitchen has been Upgraded with Stainless Steel Appliances, Slab Counters, Pretty White Shaker-style Cabinetry, Subway Tile Back-splash and a Window over an Under-mount Sink. 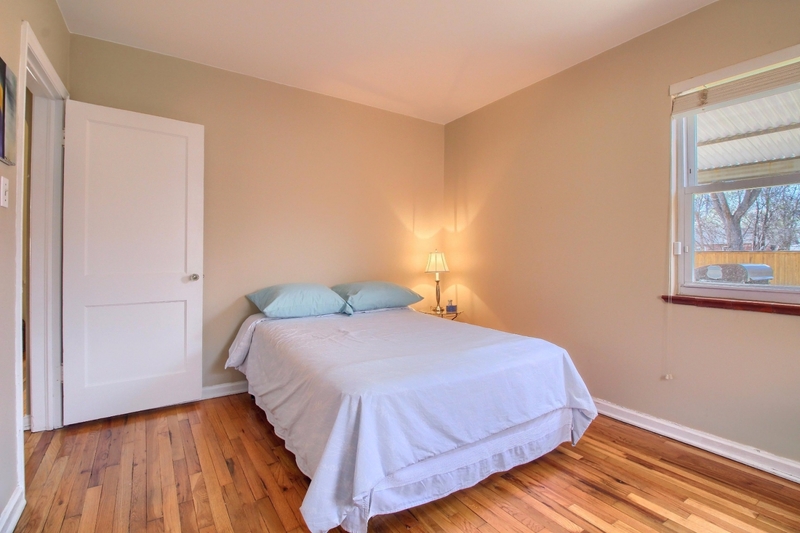 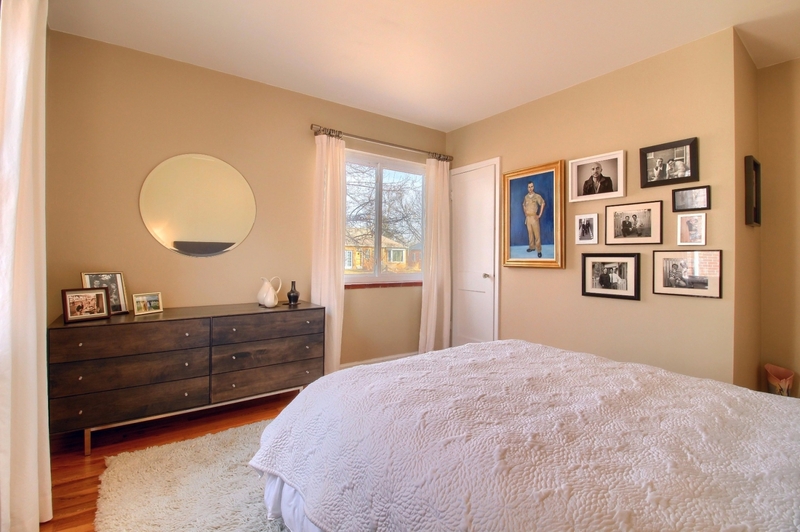 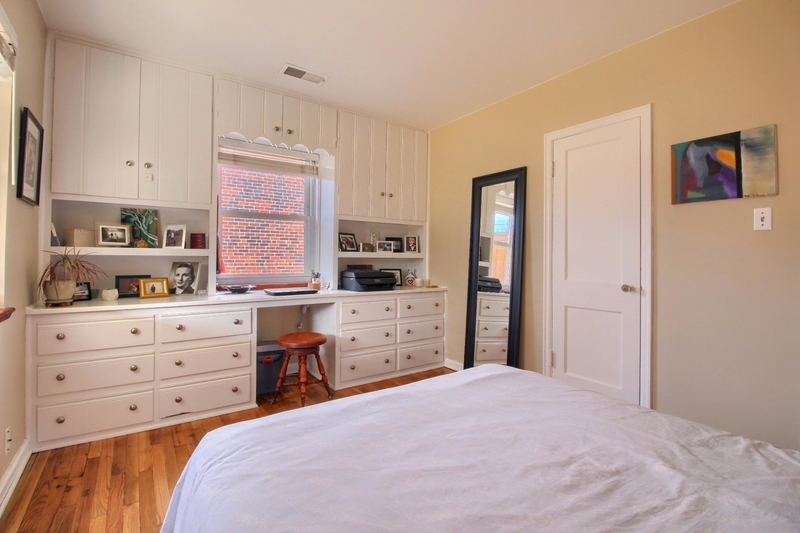 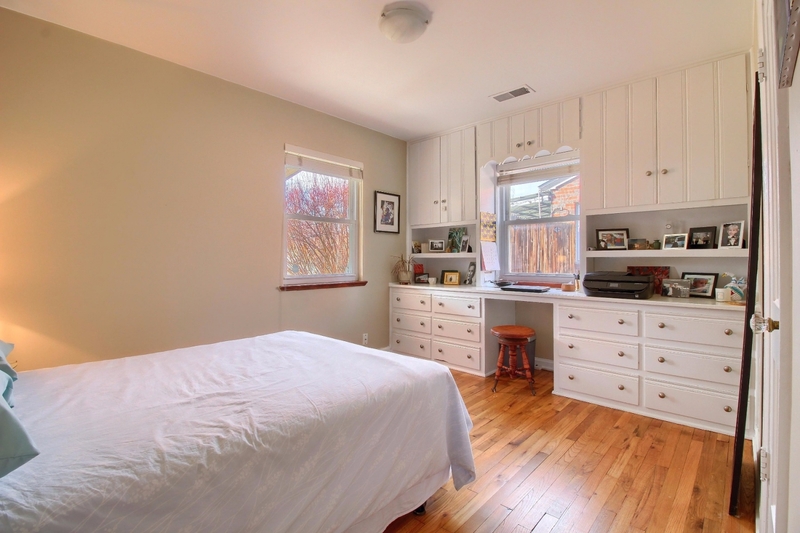 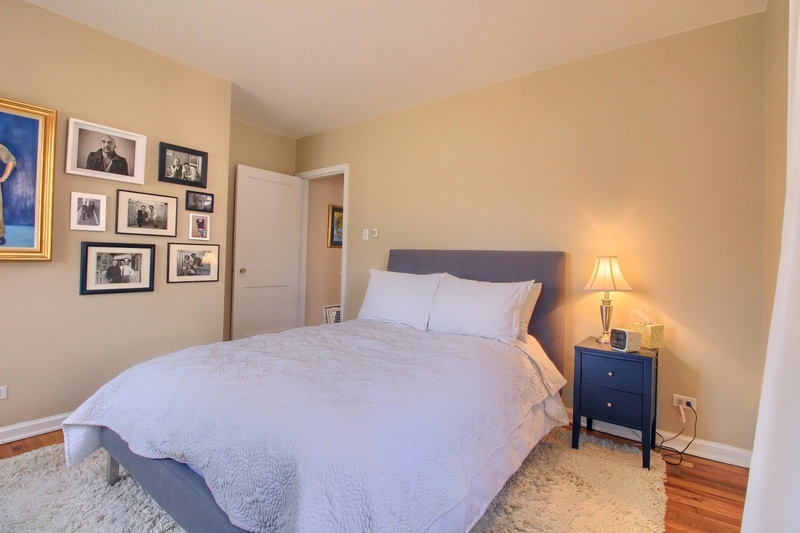 The Nice sized Master Bedroom offers Wood Floors and a Splendid Built-ins. 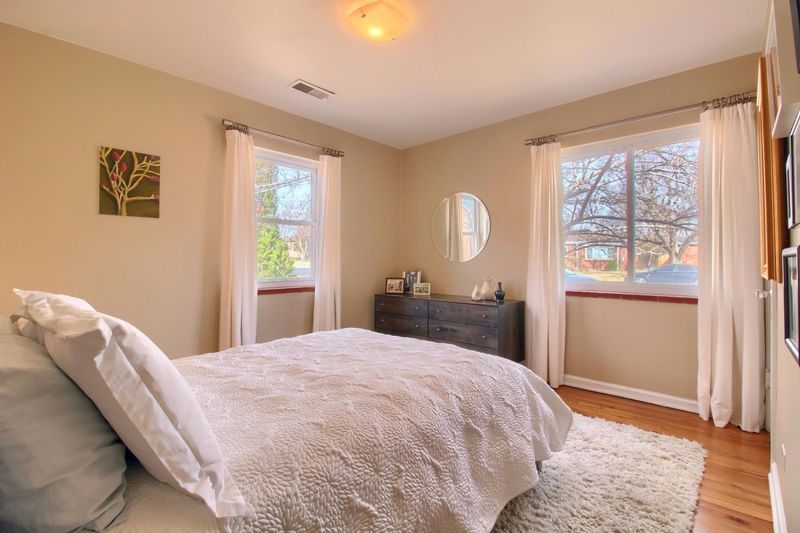 The Secondary Bedroom is Bright with 2 Windows. 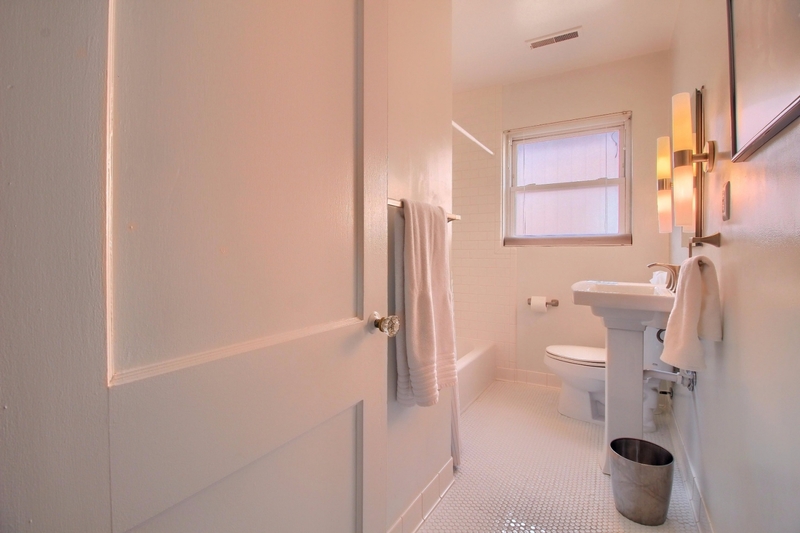 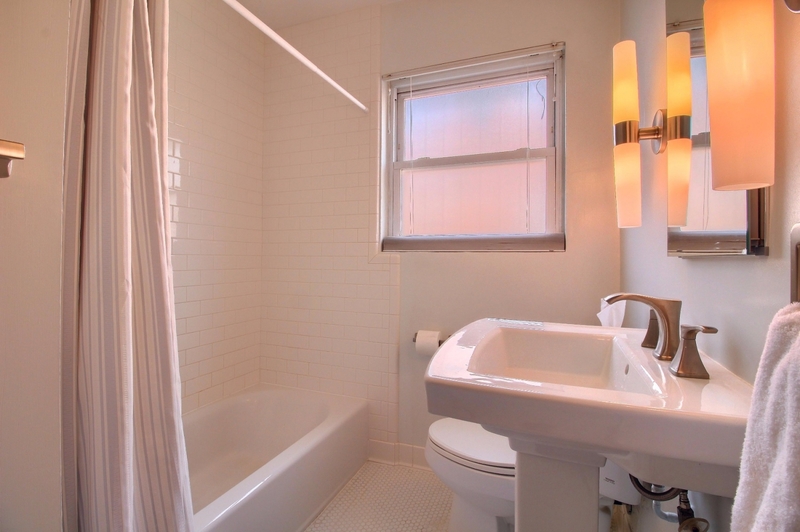 Full Bath is Pretty with Pedestal Sink and Tile Flooring. 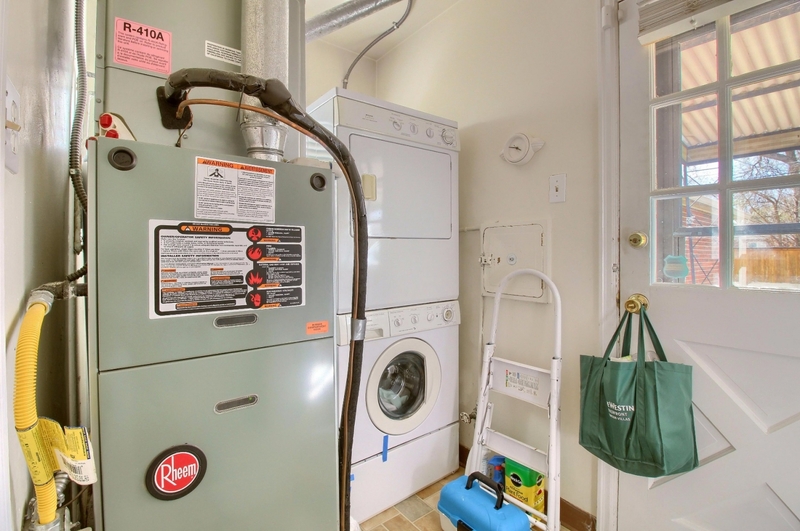 Other Amenities include Beautifully Updated Fixtures, Neutral Paint Colors throughout, Rheem Furnace and Central A/C. 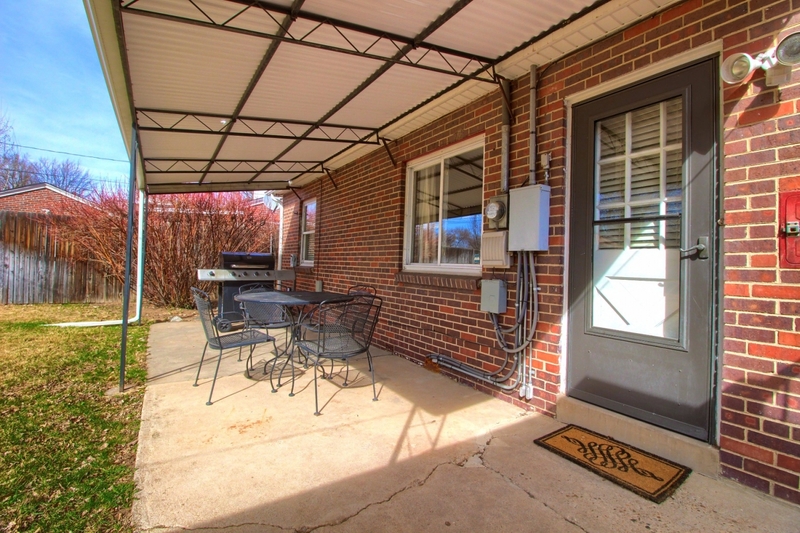 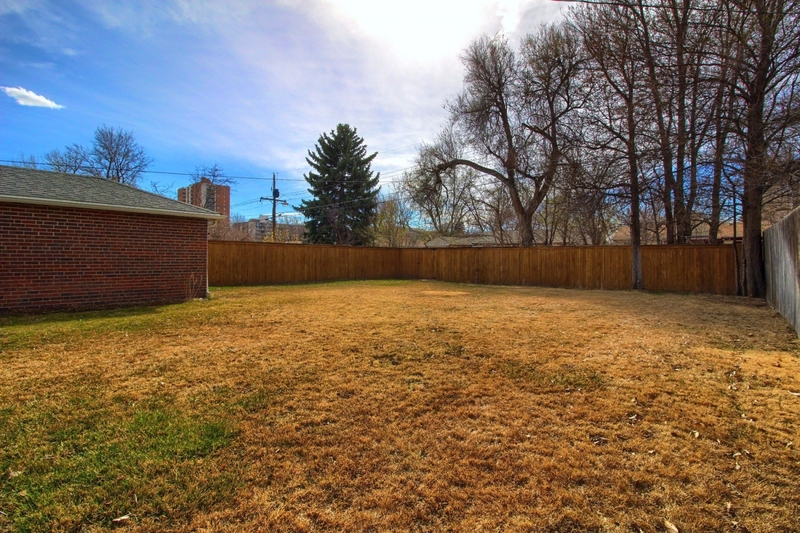 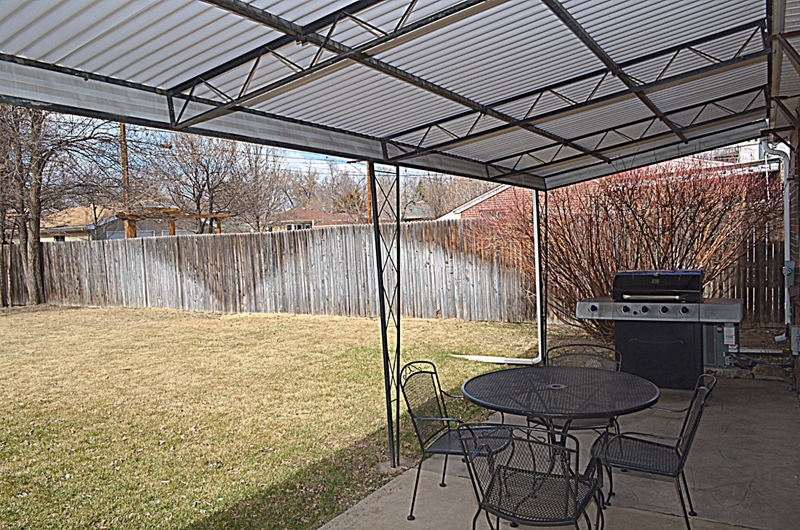 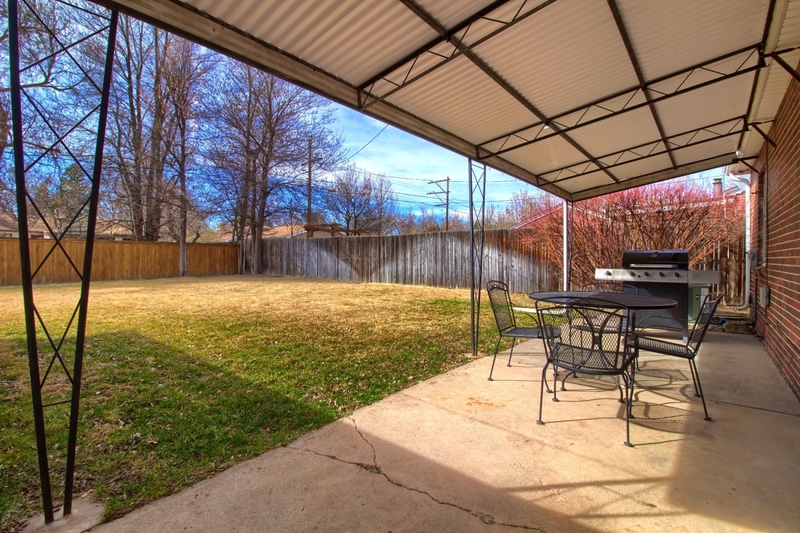 Enjoy the Spacious Fenced Yard with a Large Covered Patio, Mature Trees and a Sprinkler System. 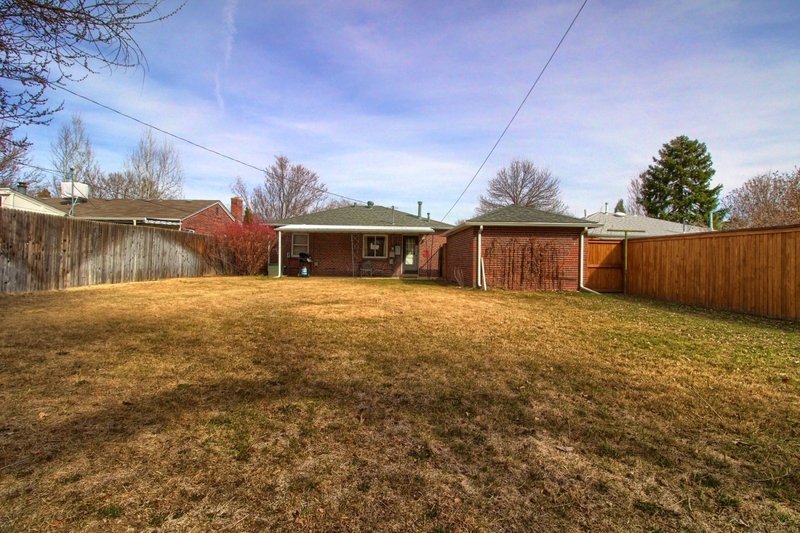 1 Car Detached Garage with Natural Light with Plenty of Off Street Parking on the Longer Driveway. 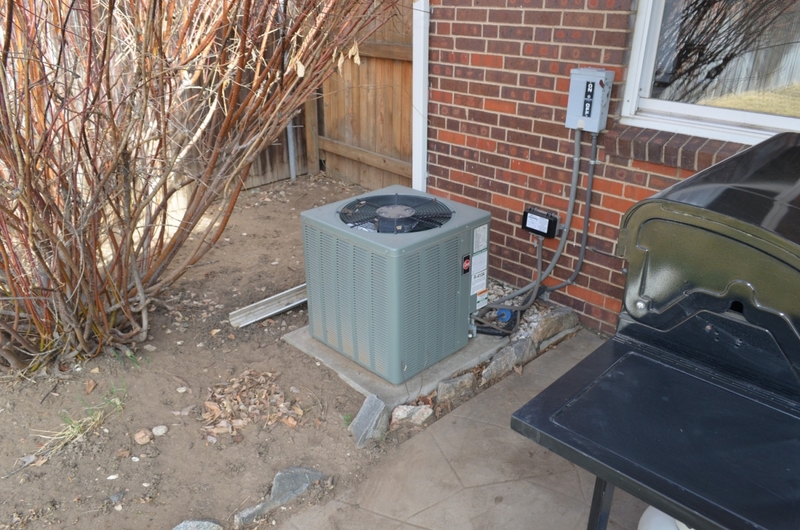 Low Exterior Home Maintenance. 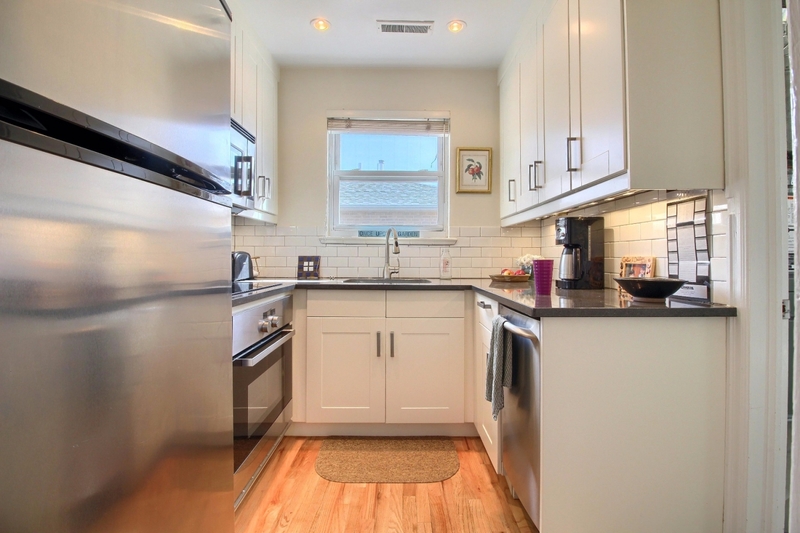 Located in a Desirable, Charming Neighborhood with Scheduled Events and Walk only 2 Blocks to Lindsley Park and just a Short Walk to Mayfair Park. 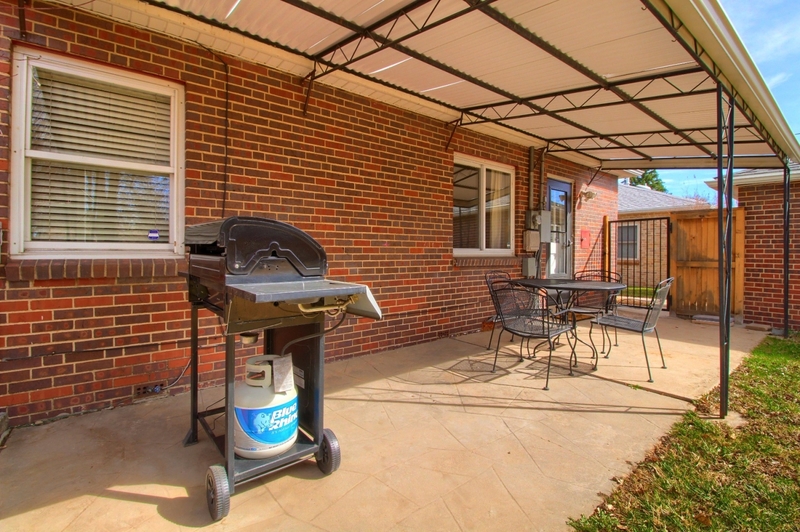 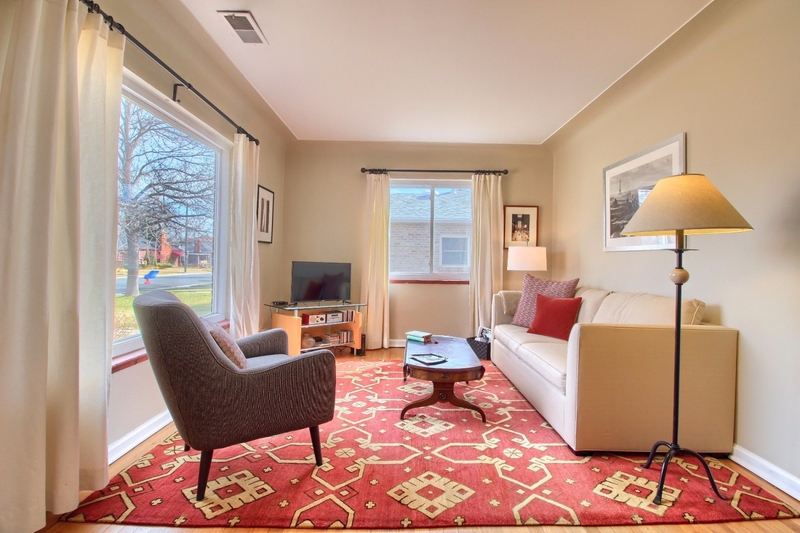 Close to Shopping and Dining with easy Access to Downtown.